Offering a barbecue and terrace, Casa MonaLisa PTY is set in Panama City, 4 km from Metropolitan National Park. Casa MonaLisa PTY features free WiFi throughout the property and shared bathrooms. Posada 1914 is located in a residential neighbourhood in Panama City, and is the only hostel in the city with an indoor climbing wall for guests to use for free. The Spanish by the Sea hostel has private rooms and beds in dormitories, all with access to shared bathrooms. A safe is available at the front desk. Guests can relax in the communal TV lounge, which includes a DVD library. The on-site tour desk can arrange kayak rental and provide information about things to do in Bocas del Toro. Reservation possible without a credit card. Bocas Del Toro, Panama ” Tourist guide to Island”. tucked away in the Caribbean. I wanted to share my adventures with you. I share it all from accommodations to nightlife and much more. Hostal Casa Pedro Boquete is located in Boquete, Panamá. 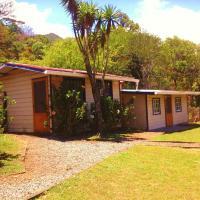 The property has a garden and features panoramic views of the mountains. Free Wi-Fi access is available. The functional accommodations overlook the mountains and gardens and have a wardrobe. Some units have a shared bathroom with shower. Daily maid services are provided. 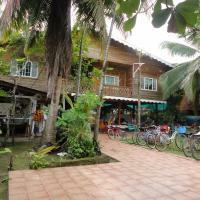 At Hostal Casa Pedro Boquete you will find a 24-hour front desk and a shared kitchen. Other facilities offered include a shared lounge and games room. The property offers free parking. Mercado del Pueblo Market is 4.8 km away, as well as Taboo Bar. The Baru Volcano National Park can be reached in 10 minutes by car. The list of 19 hostels found out of 283 places to stay in Panama City. Take A Break Holidays takeabreakholiday, Youth Hostels Panama Accommodation.